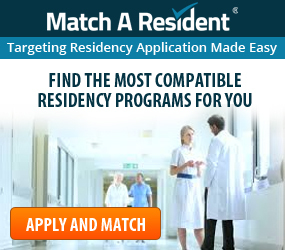 If the Residency Application Season is progressing and you are worried about how your Match Season is going, you may have questions about what to do next in the Residency Application Process. 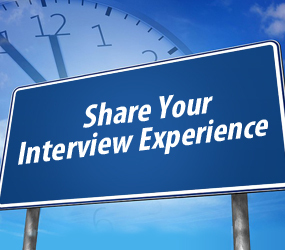 The next step for any residency candidates struggling to get interviews is to follow up with residency programs. Should I contact programs after I apply? 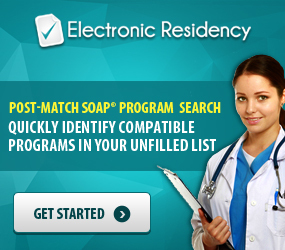 ERAS and residency programs are under no obligation to communicate with you after you have submitted an application to a residency program. Therefore, if you haven’t heard back from programs, it is up to you to start the conversation. 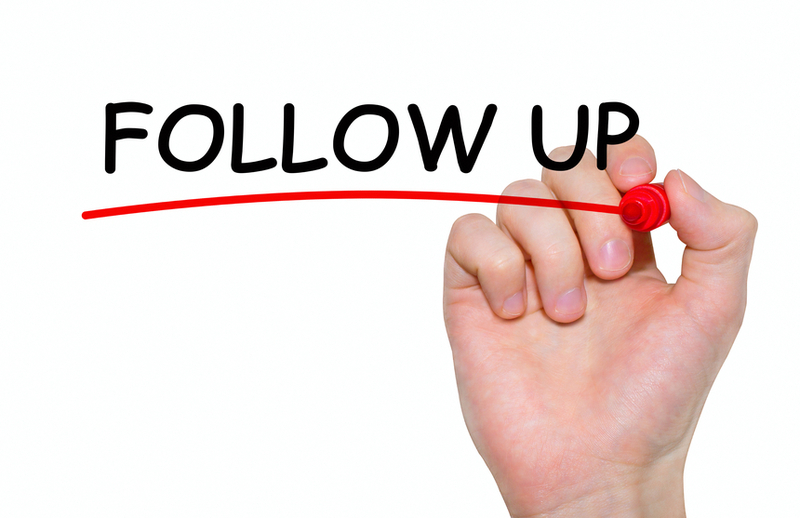 Following up is an important way to show programs you are truly interested in joining them, and to potentially get them to give your application a better look. Which programs should I follow up with? Typically, you should only follow up with programs you have not heard anything back from. If a program has already sent a rejection, it is very unlikely they will review your application again. When should I follow up with programs? Be sure to wait the appropriate amount of time before making any contact with programs. You need to give them time to look through the many applications they received. If you applied in September, wait four to six weeks after sending out your application. If you apply later than mid-November, wait 2 weeks. How do I follow up with programs? Phone call – While this is the most direct method, you may find programs hard to reach or talk to. Also, a phone call may come off as too pushy or even desperate. Mailed Letter – A little effort goes a long way, a mailed letter has the best chance of getting a program’s attention. The more detailed and unique the letter, the better your chances will be. Mailed in an envelope with the address handwritten. 1-2 paragraphs talking about the program. There are three topics you should focus on in letter: the program itself, their faculty, and the surrounding region. When you talk about the program you should mention specific facts about them you like. Don’t just copy and paste information you learn from their website, see if you can dig up something unique. An example of this may be a program’s new facility or their particular focus on cancer research. This is only a couple of examples of the many attributes a program may have that you can pinpoint which attracted you to apply. Showing familiarity with the faculty will also prove how much you know and care about the program. For example, you may mention you would love to work with the prestigious Dr. Smith, whose work with AIDs research inspired you. Finally, expressing interest in the region the program is located in will tell programs you aren’t just going to benefit from their training and leave. Programs want to know they are spending their time and money on someone who is going to stay. This holds true even more for underserved areas such as inner city, rural or remote. Follow Up Letters are organized much like a Cover Letter for job applications. Begin by briefly introducing yourself. Then, talk about the items listed above. End the letter by thanking the reader for their time or consideration and express the hope you will hear from them again. Brief self-introduction paragraph. This is where you re-introduce yourself and give a few facts. Don’t take too long on this, the focus of the letter should be on the program. 1-2 short paragraphs about the program, the faculty, and the region. Depending on how much you have, you can either have one longer paragraph or two shorter paragraphs. Once you are done writing the letter, you have the option of emailing the letter, but a letter in the mail makes much more of an impact than an email. If you choose to mail it, it is good to hand sign the letter if it is typed and put it in an envelope with the address handwritten as well. Email – It is suggested to email the Program Director directly (if the email address is available), and CC the Program Coordinator. Mail – This depends on how much information is available about the program. You will have to decide whether or not to send it to the Program Coordinator or Program Director. The Program Director makes the decisions, but do not underestimate the power a Program Coordinator has in helping make those decisions. Send as many as you have time to write and personalize. Do not use a generic letter you are copying and pasting. 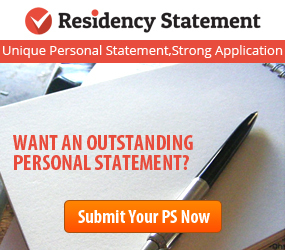 By putting in the extra work to create and send Follow Up Letters you are sending a strong and positive message to residency programs about the type of candidate you are. Please note, Match A Resident does not have any examples of Follow Up Letters nor do we assist in drafting letters. Your Follow Up Letter is personal and should be completely unique to you.